House Framing Toronto: The framing of your home allows it to stand upright against the elements and withstand the ravages of time. The better the framing the better the house, it’s that simple. The exterior elements of the home – those things like siding, windows and roofing – all depend on having a solid frame to anchor themselves to. And without rock solid framing everything from heating and air conditioning ducts to electrical wiring, drywall and trim would be susceptible to damage from moisture and movement as the weak framing was pushed around by the elements or unable to maintain integrity as the house settled (as all houses do). House framing that will stand the test of time: A home is only as good as the framing that underpins it. When you enlist Integrity Contracting to handle your house framing in Toronto you’ll get the best framing money can buy. We handle every aspect of the framing process up to and including subflooring and roof deck sheathing. No detail is ever overlooked and we get it right the first time, every time. Respect for the budget and schedule: Some framing companies treat the budget and schedule like suggestions that can be freely ignored. Not us. Whether you need a solid wood frame for your home or a steel frame to provide extra strength and support we approach every job with the same respect for the schedule we’ve committed to and the budget you’ve allocated. We deliver results, not excuses. Peerless customer service: Delivering satisfaction to our clients may revolve around the quality of our framing work but it doesn’t end there. We take an holistic approach to customer service that begins with the first phone call you place to us and extends throughout the construction process where there’s always someone available to answer your questions and address your concerns. Billing is also crystal clear so there are never any nasty surprises. 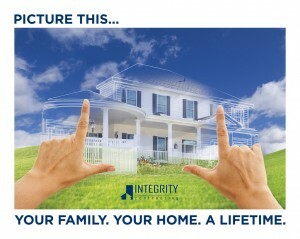 Since our beginnings in 2007 Integrity Contracting has stood apart from the competition through our ironclad commitment to the ideals of quality framing, customer service and safety. You have every reason to expect that the residential frame we build for you will still be serving your grandkids many years from now. Don’t entrust the construction of this most important aspect of your home to just anyone. Enlist the help of the GTA’s most experienced and qualified residential framing company: Integrity Contracting. We elevate house framing in Toronto to an art form and are the GTA’s undisputed framing, demolition and foundation experts.